Fort McMurray Mayor Don Scott is calling for a moratorium on the construction of any new camps, and pause renewals for existing camps within 120 kilometres of Fort McMurray. The Calgary Eyeopener spoke to two oilsand workers who fly in and fly out for their thoughts. City councillors in Fort McMurray will begin debate Monday on the future of the fly-in, fly-out work camps that house oilsands workers. Fort McMurray Mayor Don Scott is calling for a moratorium that would halt the construction of any new camps, and pause renewals for existing camps within 120 kilometres of Fort McMurray. It's meant to bring workers back to living in the community, where the population has shrunk by nearly 11 per cent since the wildfire of 2016. Now living in St. Albert, Chad Olsen spent several years flying in and flying out to work in the oilsands. He says he's in favour of the moratorium, mainly because of the brutal toll long-distance commuting can have on workers' mental health. "I worked up there for a very long time, and my personal life suffered immensely from it. Not only my personal life but my mental health degraded over time as well because you run into this routine," he told the Calgary Eyeopener. "There's no new information, no new people. You see the same people all the time. You talk about the same things. You don't have this ability to go out and experience new things. You're stuck in camp, and even when you get home from camp … you're still stuck in this work phase, so your mental health takes an absolute beating." When Olsen started, he worked 10 days on and four days off. He also did stints of 24 days on and four days off, as well as eight days on and six days off. "The relationships I spent most of my life building up … all deteriorated, all of them," he said. "Girlfriends, best friends, sisters, even with my parents — all those relationships deteriorated because I spent no time in those relationships. All my time went into these guys I worked with, because I was working two or three weeks away from my family, and with these men. "It isn't bad to have co-workers, but they're co-workers; they're not people I can be vulnerable with, people I can share experiences with. All I get to do is work with them." 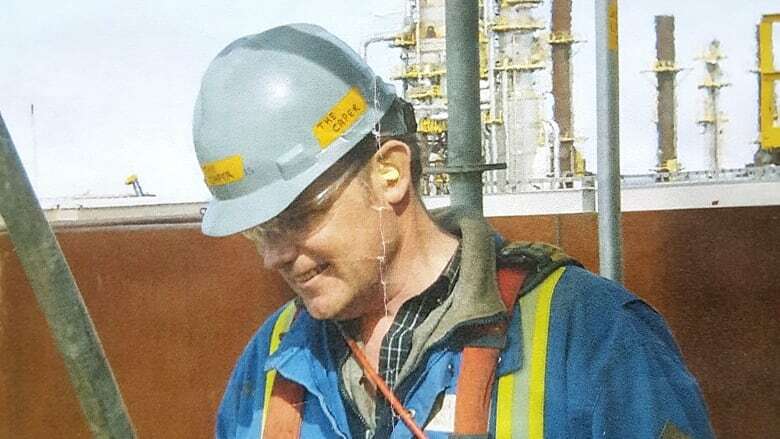 Rob Fraser, who now lives in Calgary and has spent years flying in and flying out of the oilsands, is on the opposite side of the spectrum from Olsen. 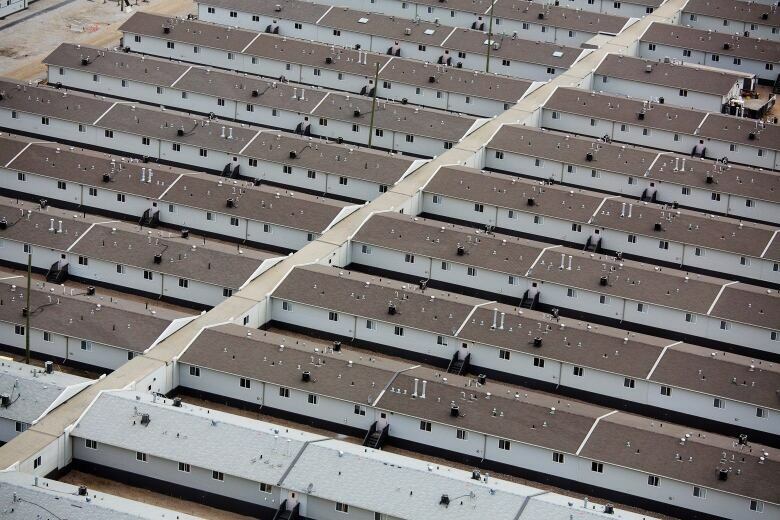 "With regards to the camps themselves, everybody is on an individual basis. I've been working the last 15 years, basically fly-in, fly-out," he said. "The schedules are a lot better now. Ten and 10, seven and seven — it's not a dramatic time away. Technology is good, video chats. As far as relationships ... it's an individual basis. I have no issues. My wife is completely content. "Most of my co-workers up there are [from] out of province, and they're happy to be working, and they're communicating with their spouses and family on a nightly basis." Fraser said most camps also have plenty of extracurricular activities for when workers are off-shift to keep them entertained and out of trouble. "There's gyms, there's all kinds of programs. It's not an old system; it's a modernized camp," he said. And Fraser also questioned the economic feasibility of forcing workers to live in the region. "Right now most of the high-paying jobs wages-wise have been rolled back," he said. "You're not getting your $45 [an hour]. A lot of people are getting $30 an hour for skilled labour. And to try in today's market with no job security to obtain a mortgage in a town that qualifies for northern living allowance ... it's very stressful. "There's no job security anymore in that particular industry at this time, so getting $300,000 or $400,000 in debt is a big shock for a job that might last six months [or] a year."